Becoming a Total Truck Centers™ retailer or installer comes with time- and cost-saving benefits you might not even be aware of, including access to rental car discounts at Enterprise Rent-A-Car and National Car Rental locations across the US and Canada. And what does it cost you? Nothing! This benefit comes standard simply by signing up to become a Total Truck Centers™ location at the FREE Bronze level. 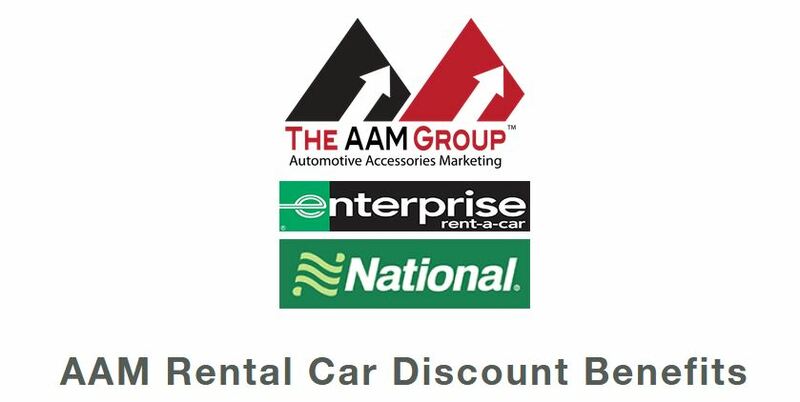 Once you sign up (or if you already have), go to accounts.theaamgroup.com and look for the “Rental Car Discount” portal, which contains the special AAM USA, Inc. account number. For your convenience, the portal includes a direct link to booking your rental online. Savings apply to rentals made for both business and personal travel, so you can use this benefit for all of your and your employees’ rental needs! Note: Choose National for airport rentals and Enterprise for local/home city rentals. Guaranteed low rate at airports (our rate or local market rate, whichever is lower). Rate extends to many classes of vehicle, from passenger cars to fleet vehicles. Valid for up to 3,000 miles per month. Rentals include full damage waiver insurance (no deductible) at no additional charge. 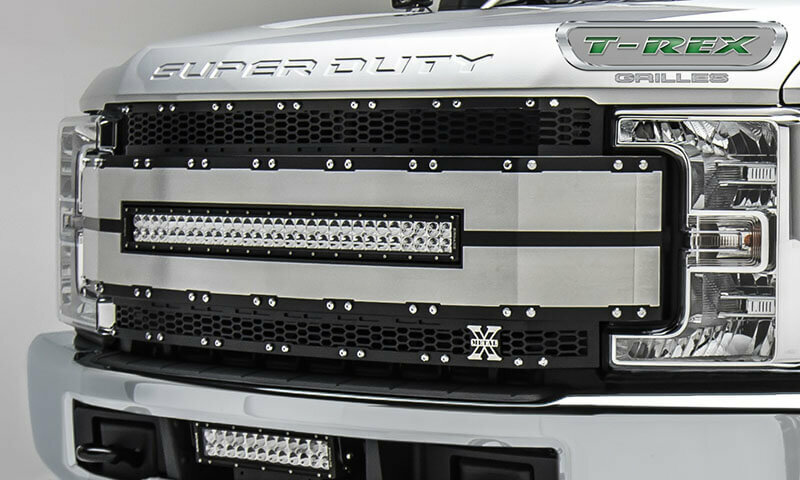 The ADAPT line of lights from RIGID Industries—light bars from 10” to 50” that use Adaptive View Technology to automatically transition through eight beam patterns based on vehicle speed—began including GPS Modules on products shipped starting on February 15. ADAPT beam patterns can still be manually selected with the RIGID Dash Controller; the GPS Module, which was previously sold separately as PN 55010, simply enables the use of Adaptive Mode. Distributors or retailers who had ADAPT stock before February 15 can contact RIGID to receive free GPS Modules. ADAPT pricing will remain the same, though part numbers are changing (old PNs will become obsolete). Included GPS Module with magnetic base mounts anywhere on your vehicle. Active View Technology cycles through beam patterns based on vehicle speed. Selectable RGB-W accent lighting (choose any color in the spectrum). 8 selectable beam patterns (15–70 degrees). Includes wiring harness and mounting brackets. 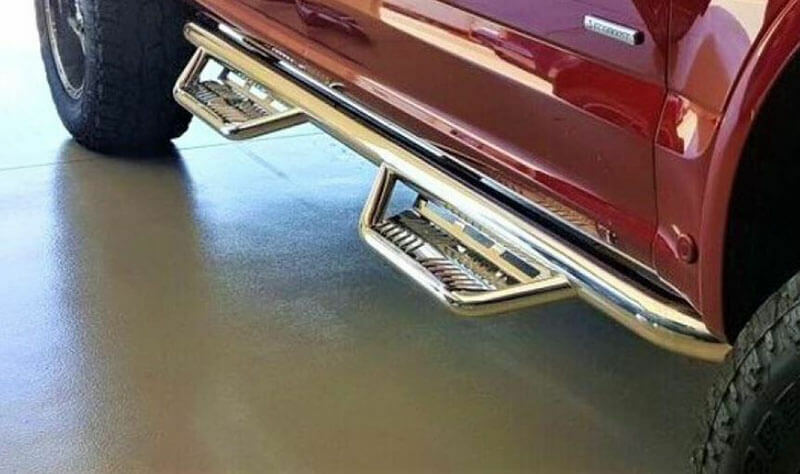 The new all–stainless steel Podium Hoop Steps with 3” main tube from N-FAB fit high and tight to the vehicle body to convey a modern, clean style, while the fully welded, one-piece construction lends strength, durability, and ease of installation. N-FAB Podium Hoop Steps are available in two finishes: High Polish or Textured Black Powdercoat. They include expanded and enclosed sure-grip step plates. Provide easy access to stock or lifted vehicles. One-piece stainless steel construction with 3” main tube diameter. 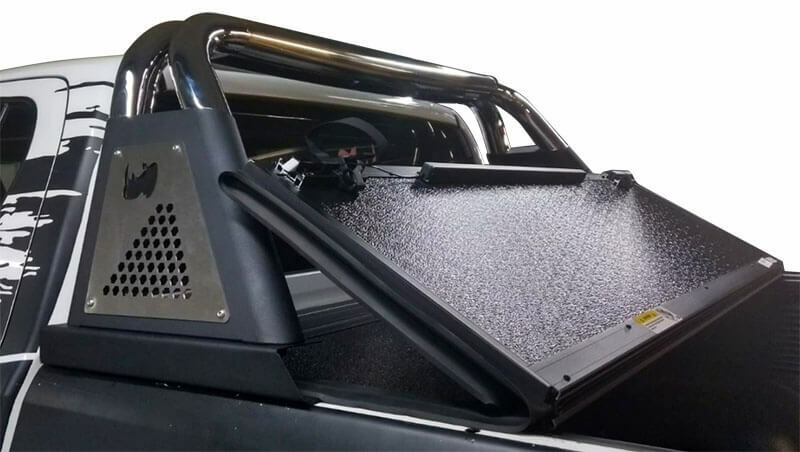 Compatible with most tonneau covers (including most retractable, roll-up, and some folding covers), the Sport Bar 3.0 from Go Rhino offers all the styling of the classic Sport Bar along with predrilled holes to add auxiliary lights or LED light bars (lights not included). Made from durable steel, Sport Bar 3.0 comes with stylish side plates and is available in two finishes: Textured Black (5-year limited warranty) or Polished Stainless (limited lifetime warranty). Compatible with most retractable, roll-up, and some folding bed covers. Constructed of durable steel materials. Predrilled holes allow mounting of auxiliary lights or bar (lights not included). Two finishes: textured black powdercoat or polished stainless steel. Available for domestic and international vehicles. Warranty: 5 years (textured black) limited lifetime (polished stainless). 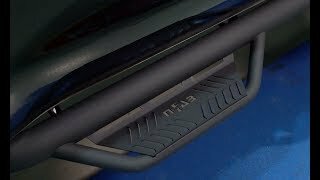 Offering the tightest profile on the market, the low-profile Ventvisor from AVS adds subtle style to your 2015-2018 Chevrolet Colorado while maintaining all the utility you’re looking for from a side window deflector, including letting in fresh air; keeping out the rain; and reducing interior heat, noise, and fog. Even better, the Ventvisor goes on in minutes via the presupplied and preapplied automotive-grade 3M adhesive. The 894049 AVS Ventvisor is made from UV- and scratch-resistant reinforced acrylic, which is safe to run through the carwash, precision engineered to seamlessly fit your application, and backed by a limited lifetime warranty. Made in the USA and available in Dark Smoke or Matte Black. Keeps rain out while the window is cracked. Circulates fresh air and vents odors. Reduces interior wind noise and glass fogging. Cools off interior when parked in sun. 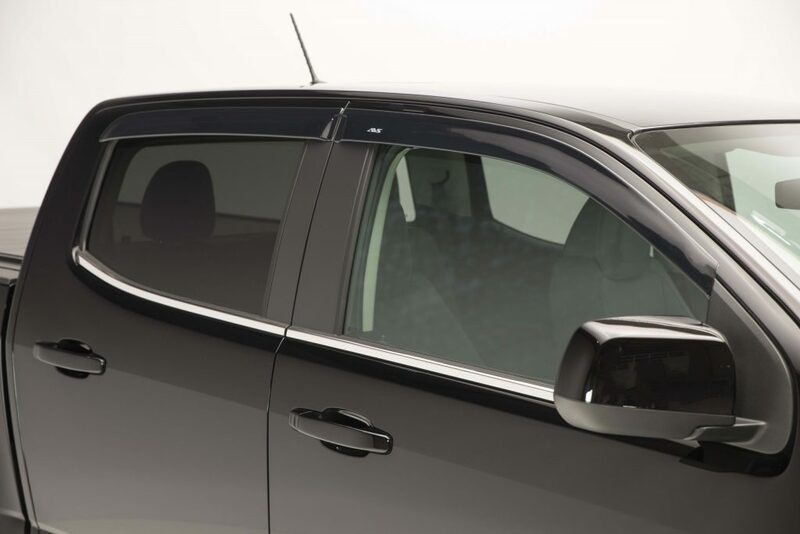 Select SKUs include chrome trim to match vehicle trim. Reinforced acrylic resists sunlight and abrasion. No special hardware or drilling required. Available in Dark Smoke or Matte Black. Via mail-in form. 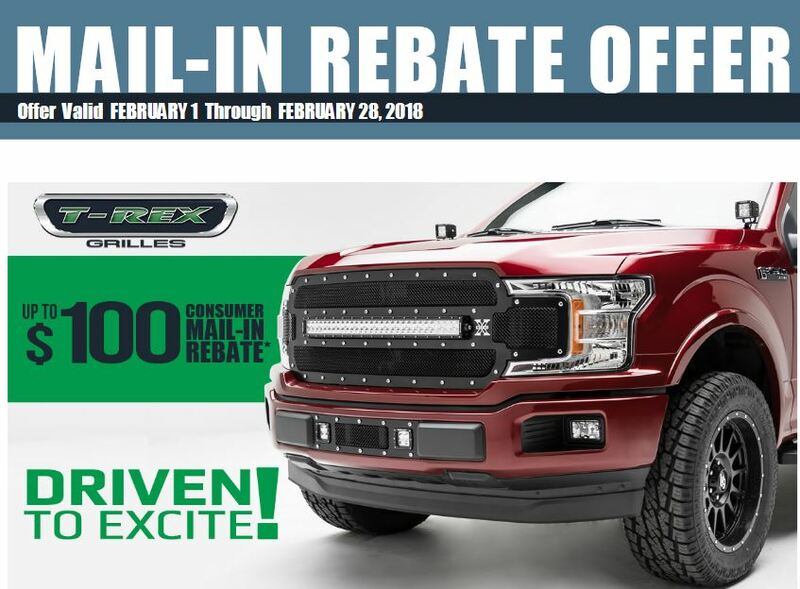 Offer valid February 1–28, 2018. Click image for printable form and complete details! <p>Via mail-in form. Offer valid February 1–28, 2018. Click image for printable form and complete details! If you want off-road lighting that’s also safe and legal for on-road use, RIGID Industries’ new SAE-compliant fog and auxiliary high-beam driving lights are your solution. Featuring RIGID’s proprietary Clarilux optic system, these lights project a perfect range of pure daylight to penetrate the night for superior clarity—all while drawing little power. 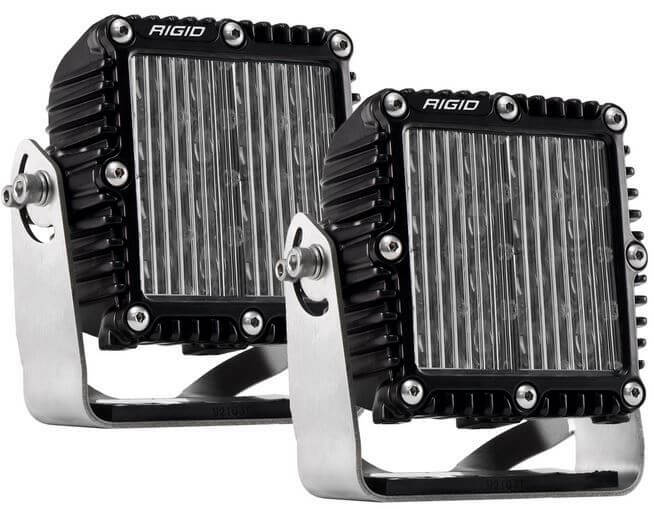 These lights offer a low profile, high-grade aluminum alloy housing, custom oversized heat sink, and durable polycarbonate lenses. Available in SR-M (902533) and D-XL (321513) Series fog lights and Q-Series (244813) auxiliary high beams. Custom oversized heat sink for longer life and cooler operation. The new 6315483 Torch AL grille from T-Rex Grilles is built for 2017-and-up Ford F-250 and F-350 pickups without a forward-facing camera. It comes with a high-output double-row ZROADZ LED light bar, which offers enormous light output for confidence in any driving condition. The all-black Torch AL grille features brushed-aluminum trim pieces for easy customization, and laser-cut, hand-welded craftsmanship for a perfect fit. The rust-proof, one-piece design goes on easy, with a rugged, from-the-factory appearance. For 2017+ Ford F-250/-350 without forward-facing camera. Includes double-row ZROADZ LED light bar. 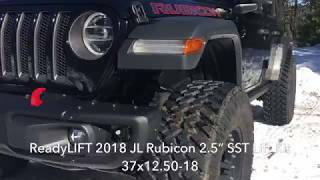 ReadyLIFT SST lift kits for the new 2018 Jeep Wrangler JL are here! Shipping in February, these kits present a well-engineered way to achieve a higher stance and the ability to install larger wheels and tires—all while maintaining the all-important factory ride quality. 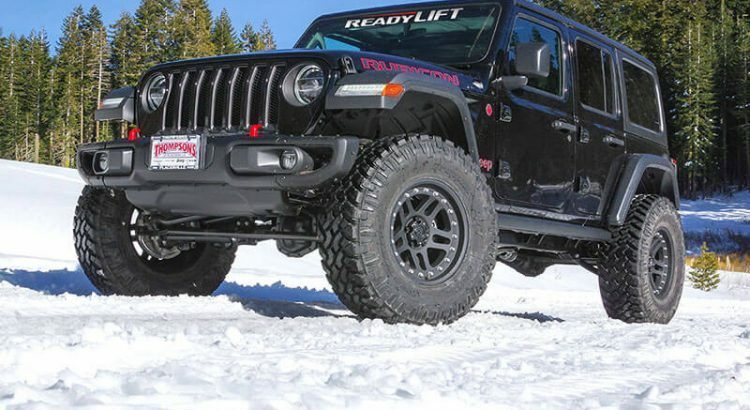 Though the JL incorporates a new suspension design, the fundamental solid axel configuration remains perfectly compatible with ReadyLIFT’s coil spacer lift kit technology. 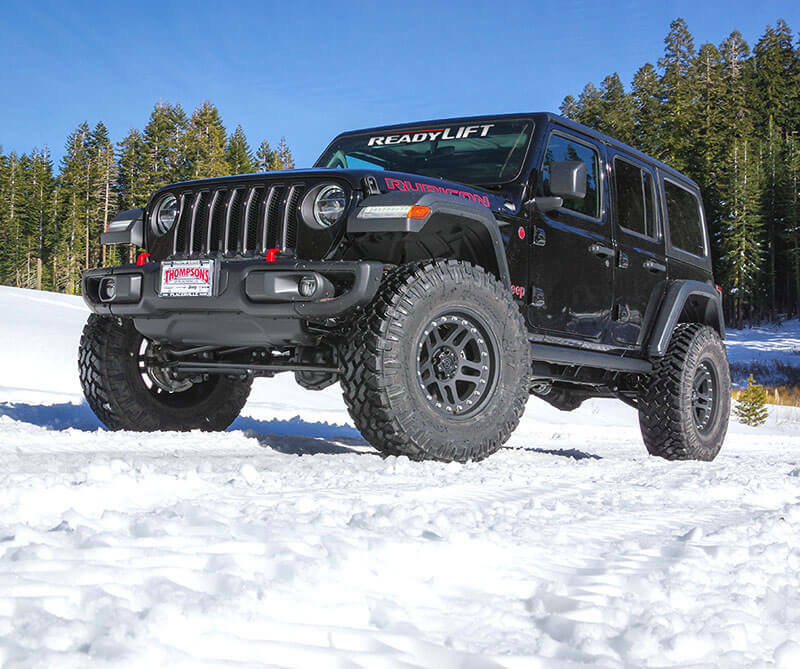 Offering 2.5 inches of lift in the front and 2.0 inches of rear lift, these kits are tailored to the Rubicon (#69-6825, with clearance for up to 37” tires) and the Sport and Sahara models (#69-6826, with clearance for up to 35” tires). Kits include plate steel coil spring spacers with isolation keeper plates, steel shock extensions, longer sway bar end links, and custom bump stop extensions. For 2018 Jeep Wrangler JL Rubicon, Sport, and Sahara. Maintains the factory shock and spring components to ensure OEM ride and handling. Increased clearance for aftermarket tires (up to 37” on Rubicon). Allows for proper lift height alignment without the need for expensive control arms/adapters. 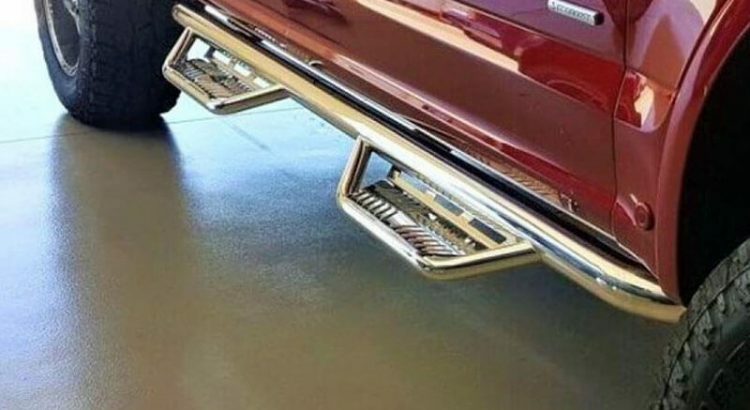 Easy, bolt-on installation (can be returned to stock).